Founded in 1992, the Bank focuses its efforts in the Middle Market market consisting of companies with annual revenues between 20 and 500 million dollars. Preserving clients relationships and offering tailored solutions are the Bank’s trademarks, something that requires constant visits to their clients, understanding their needs and presenting quick solutions for both financial investments and loans for short or long term discount securities, checks, guarantees, sureties, collections, among others. Since 2001, the Bank has been acting in the foreign exchange and tourism market, and because of its constant growth, this area is of significant importance within the Bank. Thus, in January 2002, the Bank acquired Cotação DTVM S.A., the largest tourism exchange firm in Brazil, with over 1 million registered customers. In 2004, in partnership with Visa and Mastercard, the Bank began offering Pre-Paid Cards designed for international travel and is currently the largest issuer of pre-paid cards in Brazil. In 2007, the Bank was elected by the Revista Conjuntura Econômica (FGV), as the largest financial conglomerate in Brazil, in the middle market sector, based on its 2006 results. 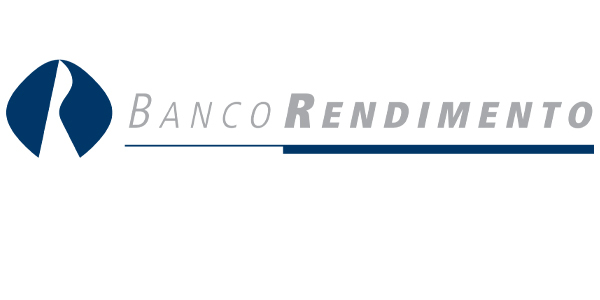 In 2009, the Rendimento Group Incorporated Concordia Bank, now BBN (Banco Brasileiro de Negócios), extending its role in the Middle Market sector with a focus on structured finance. Rendimento is one of the largest institutions offering money transfers to Brazil and from Brazil through a large network of agents in the country.